I have spoken before about the X-Men series of films and how I prefer them to all the overstuffed Marvel/DC extended superhero universe(s). Sure, there will always be turkeys like X-Men Origins: Wolverine (2009), but the hits outweigh the misses, with genuinely good stuff like X-Men: Days of Future Past (2014) and Logan (2017) in there. 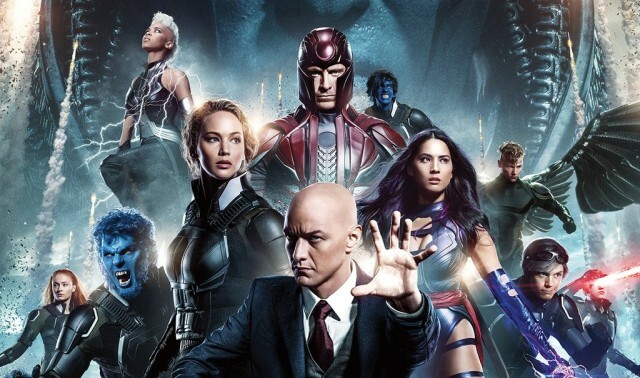 For me, the X-Men franchise tends to mix formula with emotion, so hey, I’m still game. Coming off Days of Future Past, I was certainly excited. The plot has Professor X (James McCoy) and his team facing off against the very first mutant, En Sabah Nur (Oscar Isaac), who awakes in Egypt after an extended exile and decides he must destroy humanity (because, why not?). Recruiting Magneto (Michael Fassbender), Psylocke (Olivia Munn), Angel (Ben Hardy), and Storm (Alexandra Shipp) to his cause, it all points to a monumental battle. Plus, Psylocke is kinda hot (I guess I have a thing for the X-Girls, since I also like Rogue and Kitty Pryde). But I digress. Monumental it certainly isn’t. X-Men: Apocalypse is more skirmish than deathmatch, full of overdone special effects, so-so action scenes, and a villain that’s just not very fearsome. Sure, Quicksilver (Evan Peters) steals the show (again) with his super-speed powers, and there’s a nifty little sequence where Magneto avenges his family’s death with a necklace. But director Bryan Singer, back in the chair for the 4th time, has shown he can do much better than this. Here’s hoping the next one, 2018’s X-Men: Dark Phoenix, is a winner.